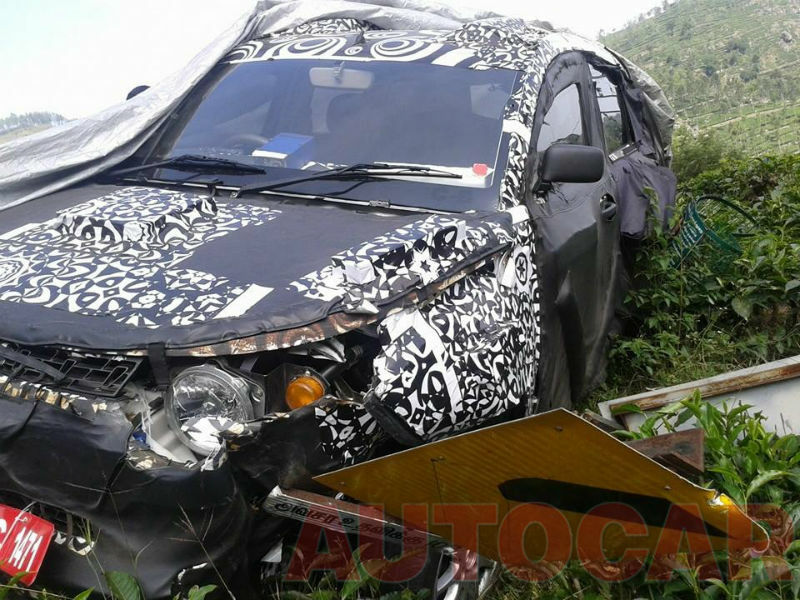 Mahindra compact SUV codenamed S101 is been keenly observed by a number of spectators on internet as well as automobile magazines. However, in order to keep the momentum going Indian carmaker encroaches full-fledged testing of the compact SUV at its facility in Chennai. 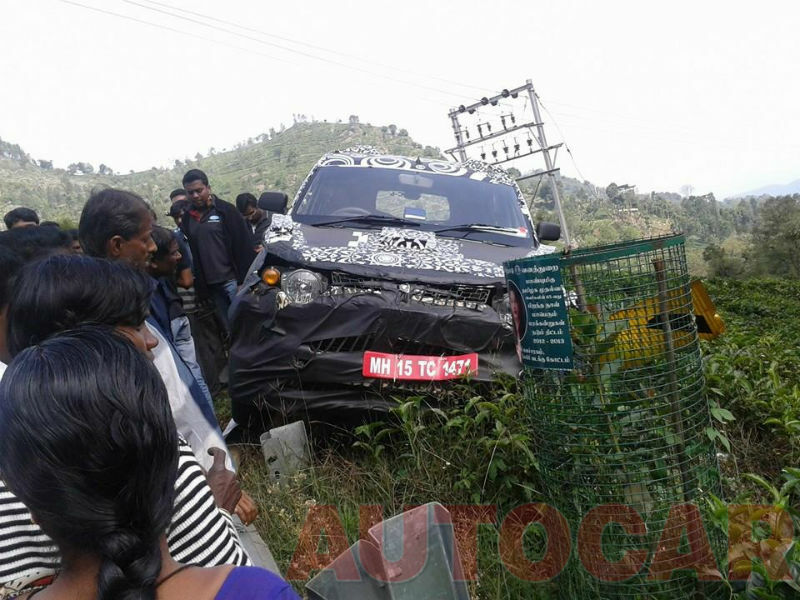 This time the automaker, hope so, failed to keep up the rake in accordance with expectation and as a result the compact SUV test mule finally got crashed on Niligiri hills (Tamil Nadu) while doing a test run. We expect that no one is injured in this mishap and the vehicle may also then be rescued safely to its destination. Even at this point of time, when the launch date has neared to a year itself, the engineers at backend didn’t putted flesh onto the body of S101. Mahindra’s compact SUV is still bare-basic form. Headlamps and tail lamps now can be viewed in great details, but of no use they aren’t any of the production specific versions. 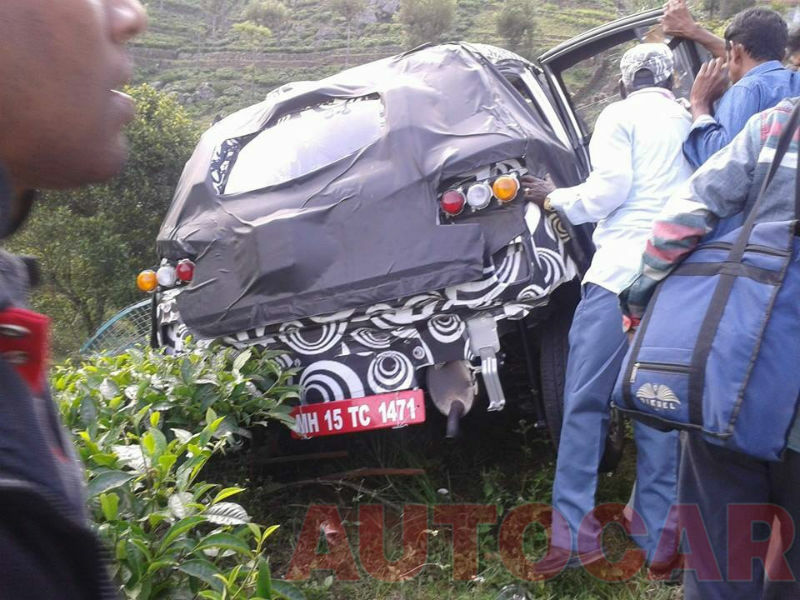 Very least amount of details is been available with us regarding how this vehicle got rammed into the sides of ghats. Engine specifications of baby XUV says, it’s expected to go off with a 1.5L Renault K9k diesel, on the output of 100bhp. As per earlier spy-shots it was also revealed that compact XUV maybe doing off with a single seat on the front row, and the gear shifting lever will be assimilated to the center console. But it is too early to talk about anything of the upcoming little XUV for production specific. Till the more information arrives on our desk, one can view the spy-pics minutely and would let us know what they are expecting via our comment box.